For reasons of quality maintenance, the offered range of Corrosion Pulley is known to be manufactured in compliance with the set industry norms and guidelines. Its dimensional accuracy, sturdiness, durability and resistance to corrosion, is owed to the finest raw materials and modern machines, applied in its making. In addition, the range is quite reasonably priced. 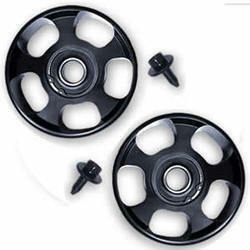 Looking for Corrosion Pulley ?